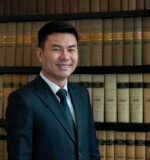 Chun Yee joined Kalidass Law Corporation in 2018 as an Associate Director. He is well-versed in criminal litigation, having been a Deputy Public Prosecutor in the Criminal Justice Division of the Attorney General’s Chambers for 5 years. He had then joined private practice in a reputable mid-sized local firm, gaining valuable experience in civil litigation and arbitration.